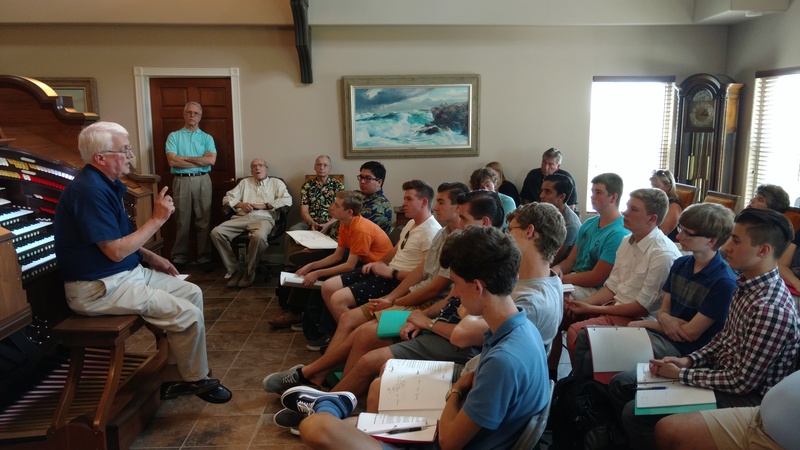 For years, Garden State chapter has demonstrated its commitment to young organists by awarding prize money to the Young Theatre Organist Competition winners and by sponsoring students to attend the Summer Youth Adventure. The young people come away from these ATOS programs with highest compliments. They have told us that they improved their skills through guidance from accomplished musicians. 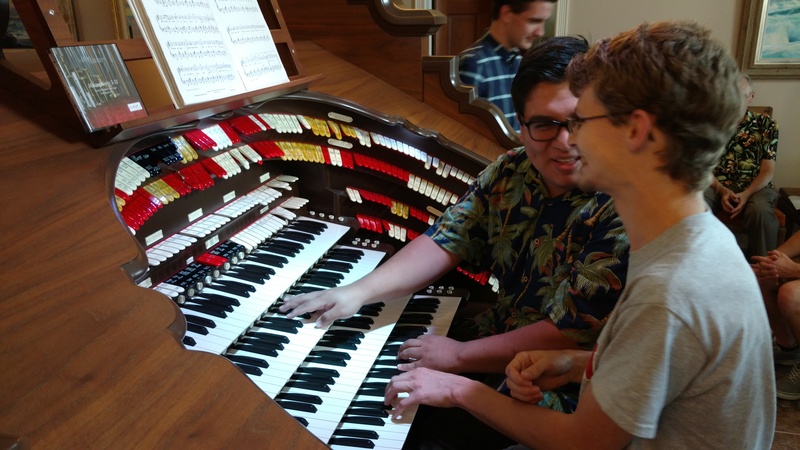 They interact with other young organists and have developed widespread friendships. 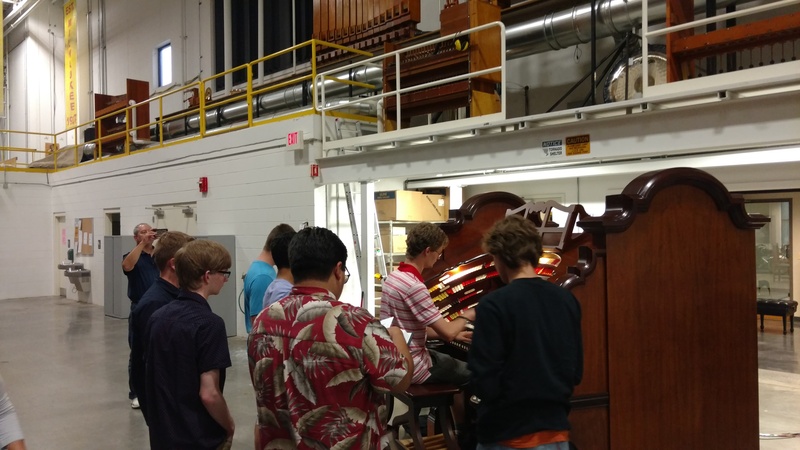 Having listened to the students’ praises for young organist programs, I asked the SYA instructors if I might see for myself what the students experience. I was warmly invited to attend the 2017 program in Chicago. The invitation turned into an assignment as a volunteer chaperone for the entire week. I was also afforded the opportunity to instruct the students in their communication skills: a three-part segment including business techniques, developing one’s speaking voice, and addressing audiences skillfully. So, what goes into making a successful week-long instructional program? It began with advance review of the students who participated and assessing their level of playing based on their age, experience, and, in some cases, previous participation in the program. Instructors were all in place to welcome students as they arrived. Supervision in accordance with the ATOS Youth Protection Policy was strictly adhered to from arrival to departure. The instructors are well-known in the theatre organ world and because of their reputations are able to gain access to the most impressive venues, ranging from Lee Maloney’s opening-night party at his Allen Organ Studio to the grand finale at the Sanfilippo Place de Musique. Without the credentials of the instructional team, one would not normally be admitted to these venues. Each day an instructor taught a different subject to the students. For example, one instructor chose to lecture about playing Christmas carols. Who would have thought playing Christmas carols was so difficult? But when you think about it, everyone knows the tune very well. The organist had better not make a mistake in the melody line and should not stray too far from traditional harmonies lest it irritate the listener. The students were fortunate to learn at the outset of their developing careers from those who have been performing for a lifetime. Once the daily lecture portion was complete, the students performed their prepared selection with at least two instructors at their side providing guidance, fine tuning, registration, tempo, phrasing, and harmonizing. A student would get a verbal correction if he attempted to play a glissando by gliding over the keys with the palm of the hand instead of playing each individual note for clarity. The other instructors listen from different vantage points in the room or auditorium to make recommendations. As part of the learning experience, the students huddled in small groups to critique each other and refine their work before and after their presentations to their mentors. There were, remarkably, no ego issues among the students. It might be thought that there would be competition, but these students are incredibly supportive of each other. They strive to elicit the best from themselves and one another. While one is performing for their mentor, others could be seen re-writing their arrangements or practicing on pianos in other parts of the buildings. Imagine strolling around the Sanfilippo expanse enjoying the assorted strains of different songs while students were preparing their material. I was impressed with the students’ ability to take instruction from their mentors to make immediate modifications to their pieces, and to re-play with the changes as indicated. Keep in mind, the theatre organ is the hardest instrument to play. The musician is not only responsible to compose, arrange, and orchestrate, but also play with two hands and two feet and generally do it without sheet music. The majority of us would need a week to practice the modifications before coming back with the revised material. 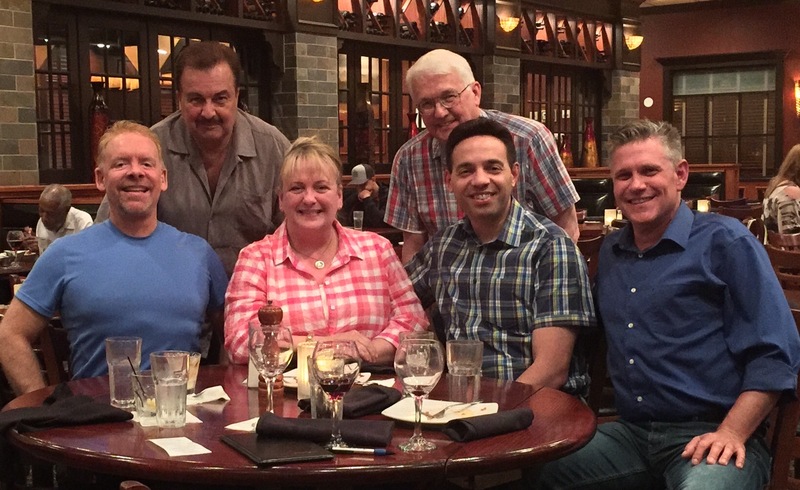 These talented students are the future of professional theatre organists. Why are their mentors so good? Jonas, Donna, Jelani, Martin, and Christian are career musicians. They are leaders in the performing art of theatre organ. In addition to their instructional lectures, they are able to work on-the-spot with the students, never knowing what the student will present and what recommendation would be necessary until the moment occurs. They think on their feet for one week straight. They collaborate in the evening to review the day’s events, the students reactions and even line up the order that the students will be called to perform the next day. Additionally, they are responsible for seeing to it that everyone is transported safely and gets three meals a day as these young organists also have voracious appetites. In turn, the students are remarkably polite and extremely intelligent. They have great senses of humor as exhibited when I had them introduce imaginary compositions which they had to fabricate and explain to their ‘audience.’ They heckled each other in good nature but developed techniques for addressing their future fans. The week’s events culminate with a day of rehearsal and dress-up performance on the Sanfilippo 5-manual pipe organ. The students controlled the instrument with skill that suggests years of experience beyond their age. Many of them may look small on the huge console of the organ, yet they are already big in their ability to control such a complicated instrument with high levels of mastery.